EGAD! Art Lab 1st Anniversary Show With Italian Ice! EGAD! 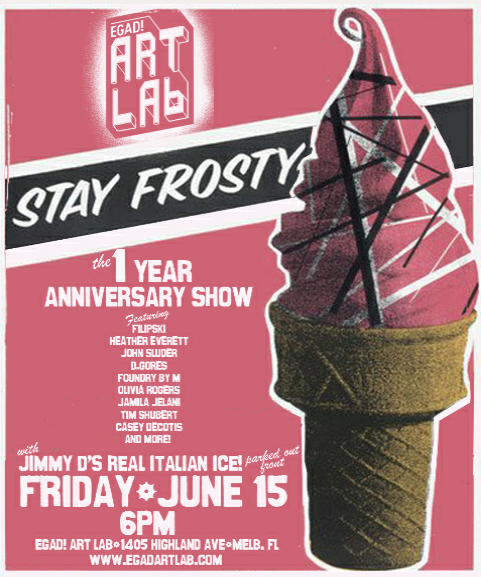 Art Lab (1405 Highland Ave, Melbourne, FL) in the historic Eau Gallie Arts District is having a one year anniversary show featuring art from several local artists and Jimmy D’s Real Italian Ice, tomorrow, Friday June 15, 2012, at 6pm. ← Starbucks Model Display Coolers for Sale!